Inspired by calming and meditative themes, the Organic Curves series calls upon simplicity of design as well as specially selected materials. 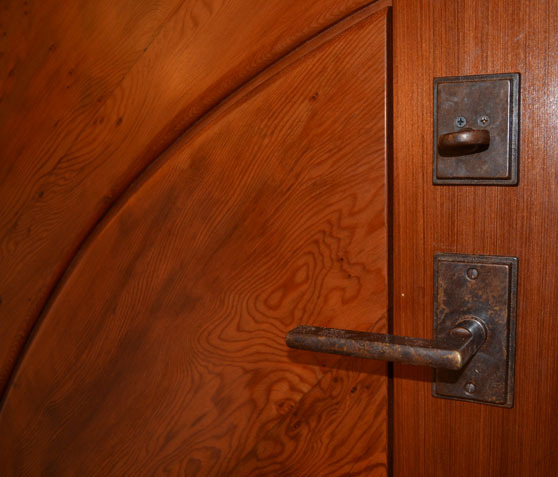 Flat sawn wood creates a wavy effect that emphasizes the flowing nature of these doors. The headliner door of this series, "Spiraling," is easily customizable to the sensibility of the clientthrough selection of window glass, be it hand-blown or architectural sheet glass.